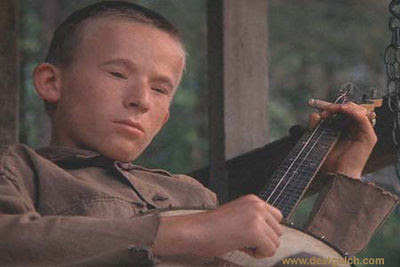 With this recent outbreak of PIG synchronicities it felt like it was time to take a closer look at the English football star David BeckHAM. 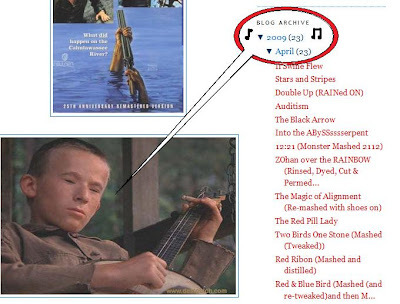 We find (KK) Keira Knightly wearing the Red & White of the Robin. The English football club Bristol City FC also wear the Red & White and are known as The Robins. We see above that the Red Robin is a Bridge to Kosmic Konsciousness. 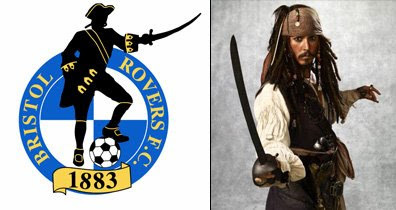 We also see that the Red Eyed Robin wielding the Trident stands above the letters RO. Above we see that a Crack has appeared in the Egg beneath the Blue Peacock Angel and this can be symbolized by the letter C.
Below we see Beckham with the numbers 17,17 on his England football strip. 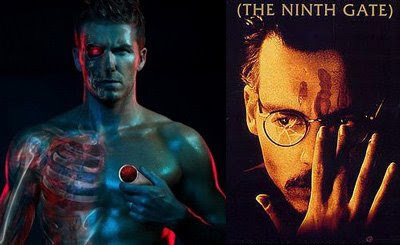 Notice the Red Cross between POSH (Yin) and BECKS (Yang). Our Blood is therefore a key when it comes to parting the Red-C, or Opening the Red Eye, or finding the lost ‘Eyeland’. The Thorny CROWn on the head of Christ reminds me of a CROWs nest; the Place where the Egg (Khrist Konsciousness) hatches. In the TV show ‘Only Fools & Horses’ the two brothers (above) drive around in a 3 wheeled (RR) Reliant ROBIN. They live in a part of London called PECKHAM. Add a the letter ‘C’ to the name PECKHAM and you get BECKHAM. Also notice above that beside the name PECKHAM/BECKHAM we find the name PARIS. Orlando Bloom played the role of PARIS in the movie 'Troy’ in which he killed the mighty Achilles with a spARROW from his Bow (Ribon/Robin). 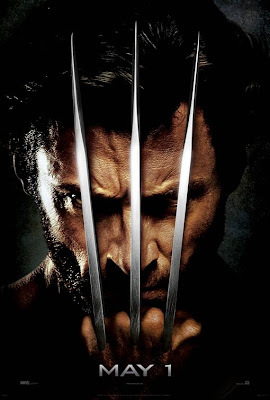 Notice the Red-C in the poster above. 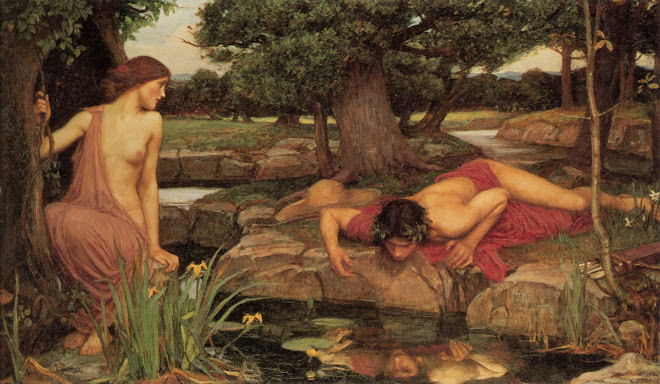 Synchromysticism is "a WHOLE new way to get girls!" 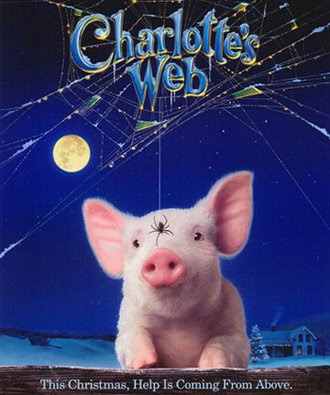 In the Porky's poster the single EYE peers through the Matrix and into the Cosmic Womb. 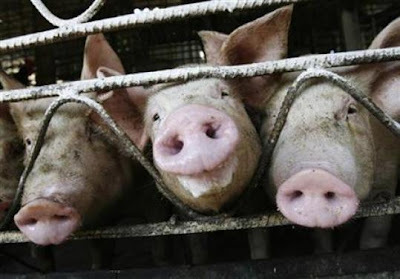 On that Porky note let us dive into the SWINE FLU PANdemic unfolding. 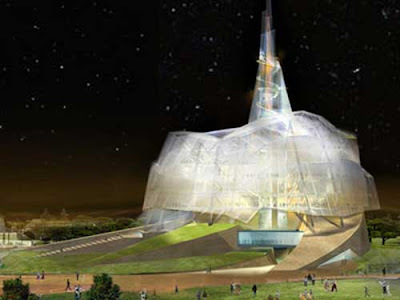 The WHO has declared the world is at a Phase 5 level and on the cusp of Phase 6 level which will syncnify a global PANdemic. I pray for all that will suffer through this. But we should all remember that all will be fine. This is all part of the shift. Death is but a word. We are all in good HANDS. "He gets hottter and hotter and spins on a trotter like SATURDAY NIGHT SWINE FEVER." 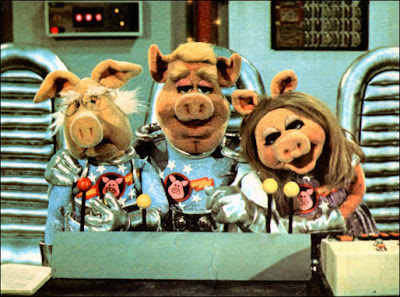 The PIGS IN SPACE are here. Notice how their uniforms show a disembodied pig's head in a starG8 red circle, which is then surrounded by pentagrams and cut in half by a lightening bolt. 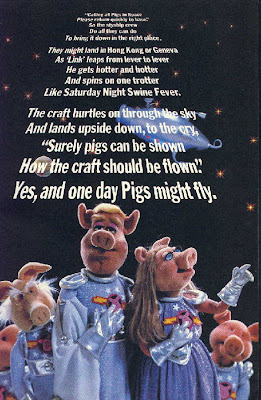 Captain LINK Hogthrob is the middle pig in space in the image above. 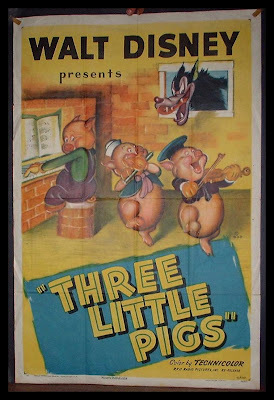 Now notice the picture framed below in the THREE LITTLE PIGS film still. It is a sausage LINK called FATHER (ABBA or 1221/2112/1212). The symbol for FATHER is a big M that is made up of 7 (G) sausages linked together. There is a New Day dawning on the Earth Farm! We the Animals are waking up! Notice that Peter Ustinov is in this film. 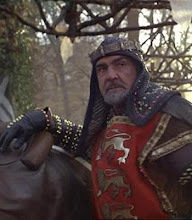 He also voiced the lion Prince John of the 1973 Disney animated movie Robin Hood. hEAR that L'il jONKKid. 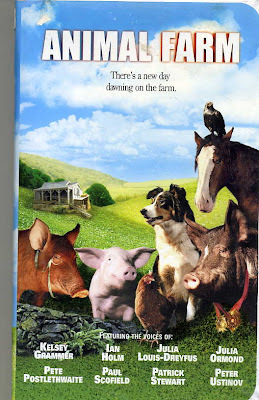 In ANIMAL FARM, Mr. Ustinov plays OLD MAJOR who wikipedia describes as : "Old Major (also called Willingdon Beauty, his show name) is the first major character described by George Orwell in Animal Farm. This "purebred" of pigs is the kind, grandFATHERLYly philosopher of change. The Father shall deliver us to change. 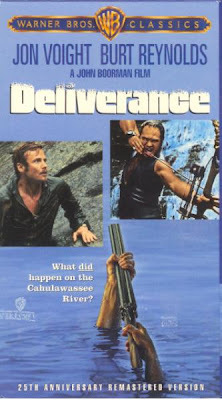 When I think of films and pigs think of Deliverance because its famous line "Squeel Like a Pig." The time we are in is all a time of deliverance. What shall be born at this time of the swine. Life is a River that in due time delivers us all. 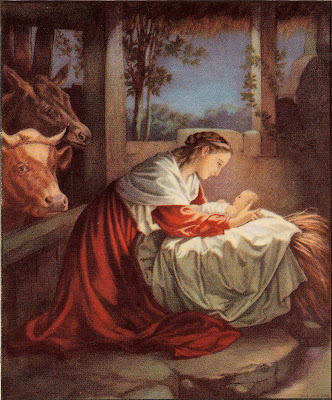 Perhaps like BABE, the CHRIST BABY is being delivered in all of our hearts. 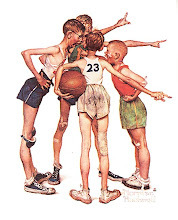 I like the poster above where it seems like the three mice are the three wisemen men visiting the Christ Child. 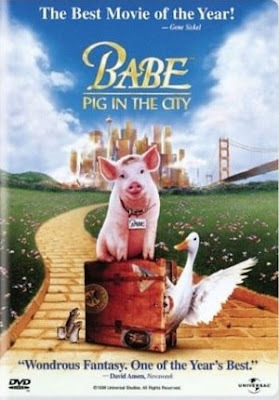 In Babe, NY is clearly made to seem like OZ. We might be in the Porky's Revenge stage these days. 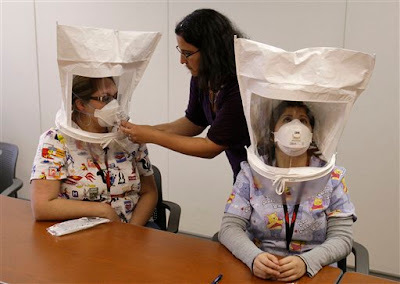 Notice this swine flu quarantine photo has WINNIE-THE-POOH as a design on one of the women. I wonder what PIGLET has to say about the rising PANdemic? WINNIE-THE-POOH is syncnificant here because it is WINNIpeg that the H1N1 sWINE Flu was identified. Winnipeg being the inspiration for the A.A. Milne's Winnie-the-pooh character. 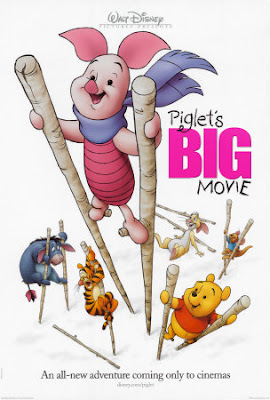 Piglet seems best at the tree stilts. His scarf is flapping in the wind as if he is almost flying. From Wikipedia: "In Hinduism the god Vishnu took the form of a boar in order to save the Earth from a demon who had dragged it to the bottom of the sea." The Pig is leading us back to OZ. 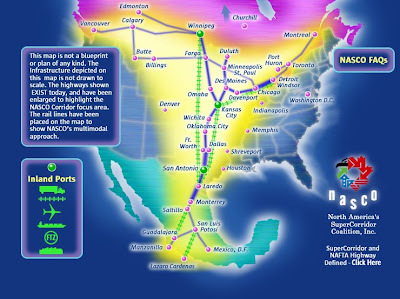 Follow the Yellow Brick Super Highway from Mexico to Winnipeg and beyond. 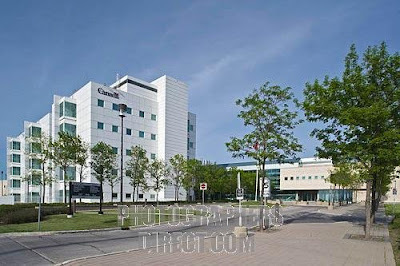 Winnipeg is home to a CDC Virology Laboratory. 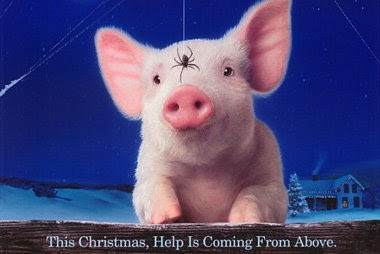 It is in Winnipeg that the current swine flu was identified. Here is a story about it. 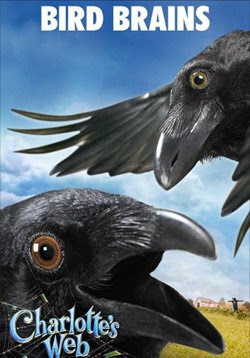 For more on the Crow check out Two Birds, One Stone. pORK has a KRO in it. 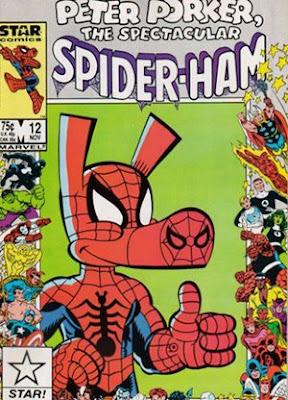 As Arrowsmith points out Swine Flu can become Flying Pig. 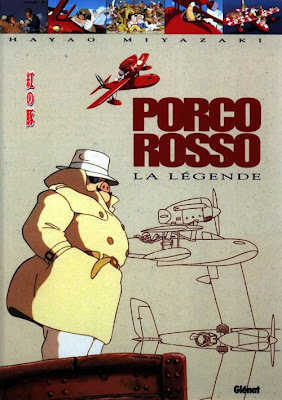 The first flying pig that comes to my mind is master animator Hayao Miyazaki's "Porco Rosso". This is translated as Crimson/Red Pig. 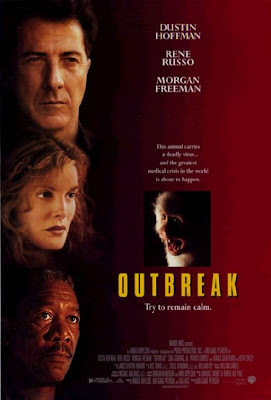 The next key film resonating Swine Flu, as Aferrismoon mentions, is "Outbreak". 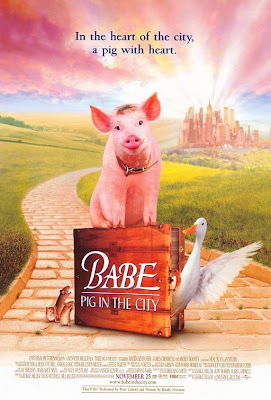 This syncs back to "Porco Rosso" as Rene Russo (Red) on the scarlet poster for the film. Much red resonance a current popular theme as seen in the C-ing Red, Red Handed, Red Robin/Ribon ideas..
Pigs are pink, a color closely associated to red. 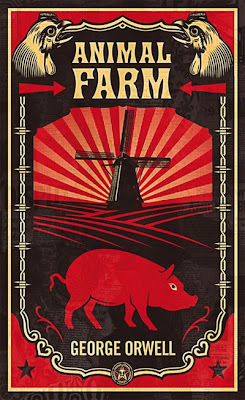 One more red pig connect pops into mind in the shape of George Orwell's classic anti communist "Animal Farm". 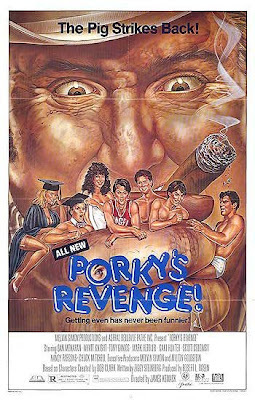 Note the red font of "Porky's". 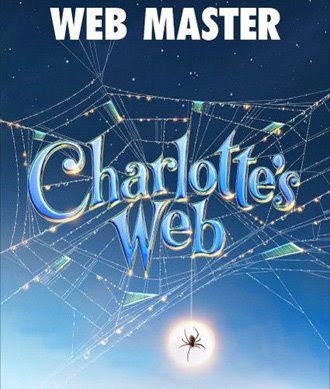 In the THREE LITTLE PIGS the nemesis is the BIG BAD WOLF. 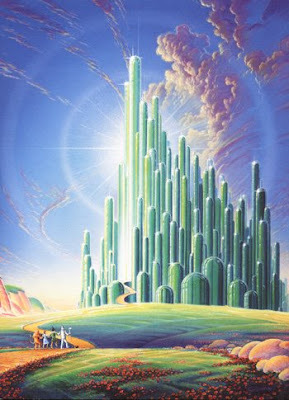 Perhaps the message of the story is that it is best not fight and demonize the Wolf and to go with the floW instead. 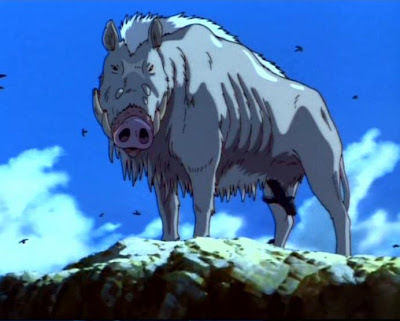 Then there is also oKKoto, King of the Boars from Princess Mononoke. 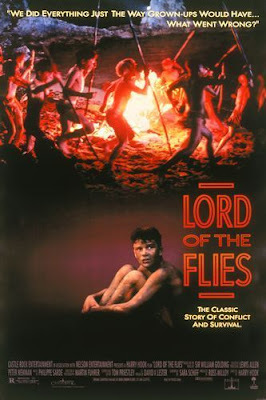 Another Lord of the Flies. The wolF resonator of Flow, the state of unattached consciousness opens tomorrow entraining with the swine PANdemic. 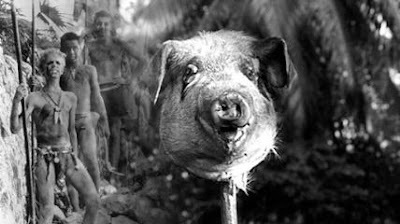 As noted by Jim, he is a classic tormentor of the pig. Reality, all that is, has both ebb and flow aspects. We could connect the much maligned pig - "eat like a pig" - with ebb/'negative' and wolf with flow/'positive'. 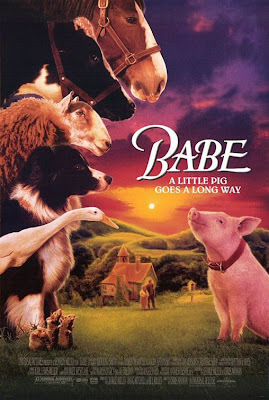 Of course often this polarity is the other way around and the pig is also a classic hero (Babe etc). This doesn't disprove, nay it makes the point..
WE prefer to notice the Peaks of Life and not the Valleys. Because WE/ME focus on the UP's, floW is interrupted by the unexpected troughs. Actually Both Peak/Pig and trough are part of ONE unified wave arising from beyond all duality. Once you disidentify from being a Pig or a Trough you align floWer and are Whole.